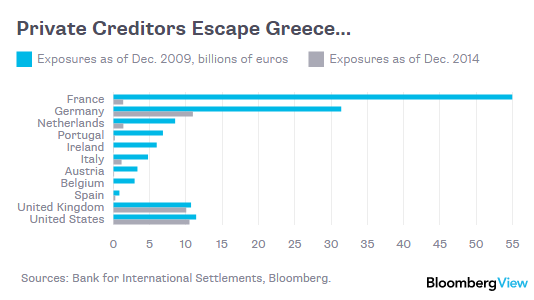 A few years ago if Greece defaulted it would have had a major impact on the financial system because banks held most of the Greek debt (think Lehman). 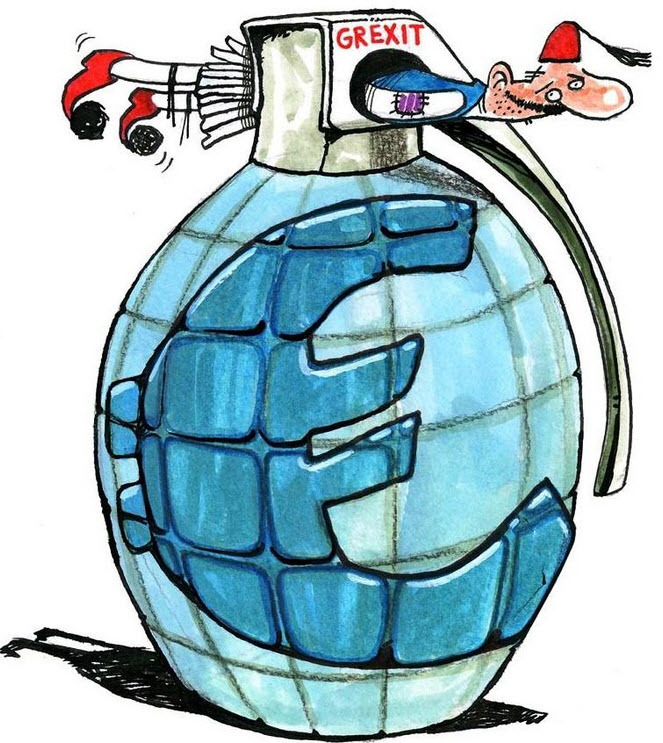 Over the past four years the decision makers in Europe have moved that debt off the bank balance sheets to the government balance sheets by creating bailout funds (EFSF, etc.). A big chunk of the debt has also been taken on by the IMF, which is essentially the global central bank for individual country central banks. There is no longer systemic risk with a default. If you are a hedge fund that owns Greek debt, or you are an individual that lives in Greece and has money in a bank, you may lose some money if a bank fails. It's hard to feel sorry for the people standing in lines at the ATMs when they knew this was coming every day for the last four years (more on that in a moment). Greece itself should have little impact on whether stocks go up or down at this point. Stocks fell hard yesterday around the world, and the media is blaming it on the Greek drama. Stocks should fall around the world, not because of Greek banks, but because many markets are obscenely expensive relative to the underlying fundamental growth potential in the global economy. 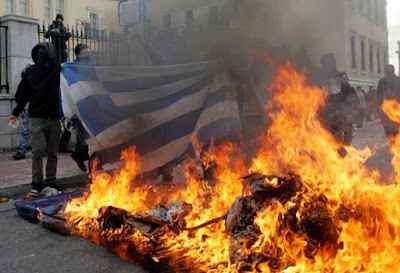 What will happen with Greece? I have no idea. I can discuss their options briefly and my thoughts on what they should do. When you borrow more than you can pay back and your creditors have cut you off there are no good options. Your life tomorrow is going to be worse than it is today; it is just a question of how you want to take the pain. 1. Accept a bailout with the new terms. 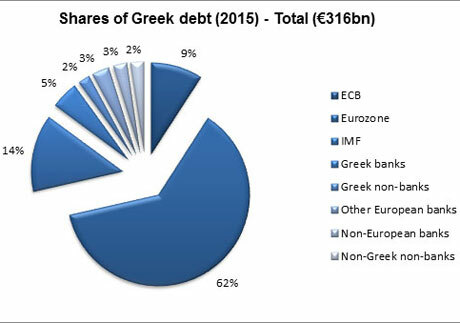 This means Greece can borrow more debt to pay back the current debt. The austerity programs will make it more difficult to pay back the new larger pile of debt, and they will be back in a few months for another bailout to pay the new debt. This option is a very slow and painful death that drags on over many years. The economy will remain in depression for decades. 2. 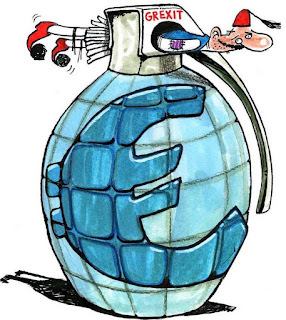 Default and exit the Eurozone. Without access to bailout money Greece would need to print their new currency (most likely go back to the Drachma) in order to stem the panic. This would cause massive inflation and potentially hyperinflation in the short term. Eventually they would hit bottom, debt free, and begin to rebuild the country from a solid foundation. There would be civil unrest and it would be a nightmare within the country for at least 2 years. 3. Default and exit the Eurozone, but reach out to Russia for help (they have contacted Greece with a proposal for financial assistance). This option is not discussed in the mainstream news. 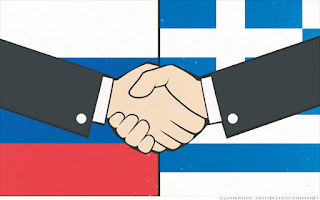 Greece would do everything it did in number 2 but they would have the full backing and financial support from Russia, which would provide the funds needed to protect their bank deposits and even create a layer of liquidity ready to provide new loans to businesses. The drastically reduced value of their currency would create an export boom, and it would incentivize tourists to come visit the country. Russia would receive strategic geo-political benefits from essentially becoming godfather to Greece. While I could write a lengthy discussion on this option (and I may in the future) I believe this is by far the best option for Greece. What is the most likely scenario? Number 1, but we'll wait and see. The real scare for the markets is that a Greece default and/or exit from the euro would cause the markets to look toward the next weakest link in the chain of PIGS (Portugal, Italy, Greece and Spain). If one of those countries were to be in the situation we have today with Greece it would be a very big deal and a Lehman type event. We'll get there eventually with all those PIGS, and we'll get there with Japan and the United States as well. In the meantime, we'll see if they can push back the next round of the global sovereign debt crisis and keep the thin layer of confidence intact for a little longer. 1. If Greece stays within the Eurozone and continues using euros, but your individual bank fails, you still have your money. 2. If Greece stays within the Eurozone and begins using the drachma, you have protected your purchasing power by holding precious metals. The value of gold and silver will surge in price, when priced in drachmas. 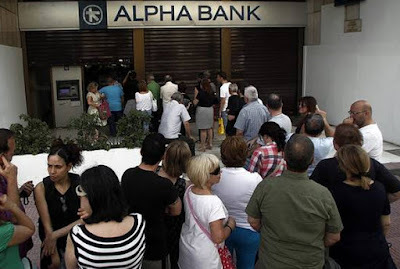 Most governments around the world are facing the exact same situation as Greece, only their ability to print money has temporarily pushed back the day of reckoning (if the Greek central bank could print euros we would not be discussing them right now). 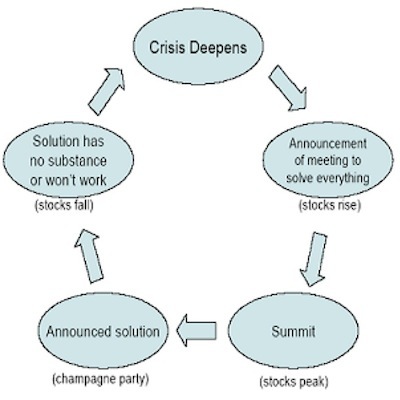 When and where will the real crisis begin? My guess is Japan, but we'll have to wait and see.